Supported by the European Commission (EC) and African Union Commission (AUC), IST-Africa Week 2018 (09 - 11 May, Botswana) is the thirteenth in an annual series of Ministerial Level Technology Research Conferences. Focused on Information Society and ICT Policy Dialogues, International Development, Research and Innovation Cooperation and Community Building, each conference brings together senior representatives of leading public, private, education and research organisations from 50 countries to discuss policy, share insight and identify collaboration opportunities. 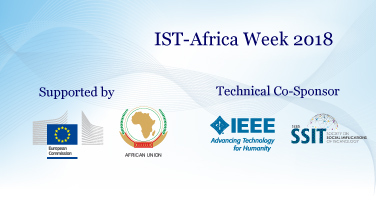 A pre-conference event with other co-located multi-lateral and bi-lateral meetings will place during the IST-Africa 2018 week. The Final Programme features an Opening and Closing Plenary Session and a Scientific Programme with 38 thematically focused sessions featuring over 170 presenters from public, private, education and research organisations in 34 countries. Thematic sessions are focused on International Cooperation, eHealth, Technology Enhanced Learning and ICT Skills, CyberSecurity, Privacy and Trust, Next Generation Computing including Internet-of-things, eGovernment, ICT4D, eAgriculture, Content Technologies and Societal Implications of Technology. Click here to download the Final Programme brochure. 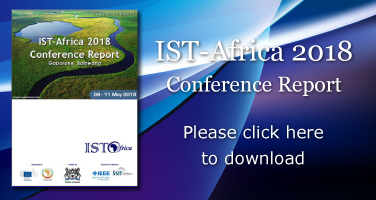 The Scientific Programme for IST-Africa 2018 is based on a double blind peer review of Papers submitted to an open Call for Papers which closed on 22 January 2018. Published paper will be available in the IST-Africa Open Access Repository in July 2018. Horizon 2020 commenced in January 2014 as the new Framework Programme to implement the Innovation Union with research and innovation funds of €80 billion from 2014 - 2020. Horizon 2020 addresses all research and innovation funding that was previously provided through the Framework Programmes for Research and Technical Development (e.g. FP7), Competitiveness and Innovation Programme (CIP) and European Institute of Innovation and Technology. The Work Programmes for 2018 - 2020 were published on 27 October 2017. Click here to download Work Programmes. 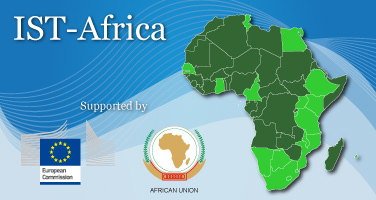 - IST-Africa Introduction to Horizon 2020 is designed to support newcomers to Horizon 2020 to better understand the structure, rules and expectations. - IST-Africa Guide to 2018 Calls for Proposals in Horizon 2020 provides an overview of Calls, themes and deadlines during 2018 within the Marie Curie, eInfrastructures, Leadership in Enabling and Industrial Technologies (LEIT) and each of the Societal Challenges (Health, Food Security and Agriculture, Energy, Transport, Environment, Inclusive and Reflective Societies, Secure Societies) Work Programmes.